Following the same line of thought, we could argue that a place is the space between people and land. If that’s the case, then we have to focus on the space in-between. In other words, we should analyze the relationships. Luckily, there are thinkers, whose footsteps we can follow. Still, we must wear our own shoes. Susan Fournier, a prominent brand researcher, and professor, long believed that we are not buying brands just because we like them or because they work well. Instead, she thought we are involved in relationships with brands because they add meanings to our lives. Consequently, Fournier dedicated a quarter century of her life to researching the types of relationships we have with brands. She ended up discovering dozens of brand relationship typologies such as best friendships, rebounds, flings, secret affairs and arranged marriage. Over time new relationship categories were added, while some of the original ones were disqualified. Place brand relationships are not unlike those described by Fournier. For instance, there are places in all of our lives that take us back to our childhood. Take business travellers. Most road warriors develop a compartmentalized friendship with an oft-visited site. Or, imagine a woman, who must travel once a year to her husband’s hometown to visit his parents. It is reasonable to think that her relationship with that place resembles enslavement. 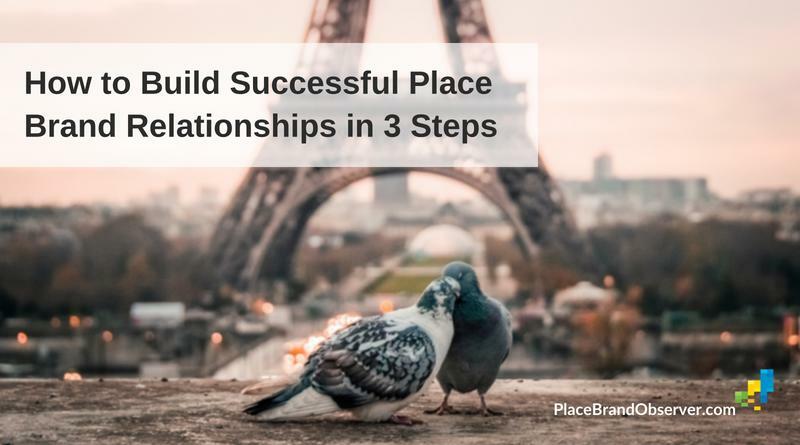 A vital task of the place marketer is to unearth the type of relationships its communities have with the city or the country. The right typology could help unlock the potential of the place. Obviously, some relationships are more desirable than others. Who would want to be a casual acquaintance when there is a chance of becoming best friends? The problem arises when place officials want what they cannot have. As William Arthur Ward once said, “The pessimist complains about the wind; the optimist expects it to change; the realist adjusts the sails.” It is the place marketer’s job to be blunt about the place so that he or she can adjust those proverbial sails.